Your financial support is used to feed, clothe, house, educate, train, and provide for a transition back into society for homeless men, women, and children. It's all about successful, changed lives. We will use every donation to achieve the greatest impact. Miami Rescue Mission | Broward Outreach Centers are committed to using your donations to help as many homeless men, women, and children as possible. Your support changes lives every day. Your gift will be spent wisely: We've developed a lean and efficient staffing structure so your gift will have the greatest impact possible. 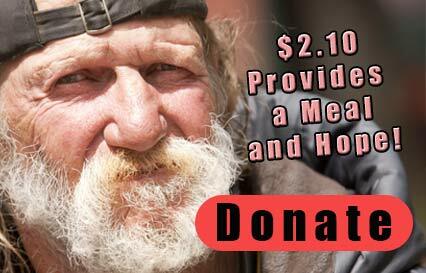 We'll promptly receipt all donations and personally acknowledge your generosity. Provided 375,000 nights of safe shelter! provide over 90,000 Volunteer Hours! Helped over 800 men and women find jobs! Provided special programs for over 200 kids during the year! Encouraged over 23,000 people in need through outreaches! Linda was a struggling mom experiencing tremendous abuse from her husband. She was frightened and felt hopeless. After a horrific beating she came to our Center for help. "I'm so grateful for the support and training I received. 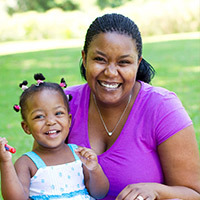 My daughter and I have a new life and I'm looking forward to even better things." The Mission is exempt under section 501(c)(3) of the Internal Revenue Code. Our IRS identification number is 59-1743865.